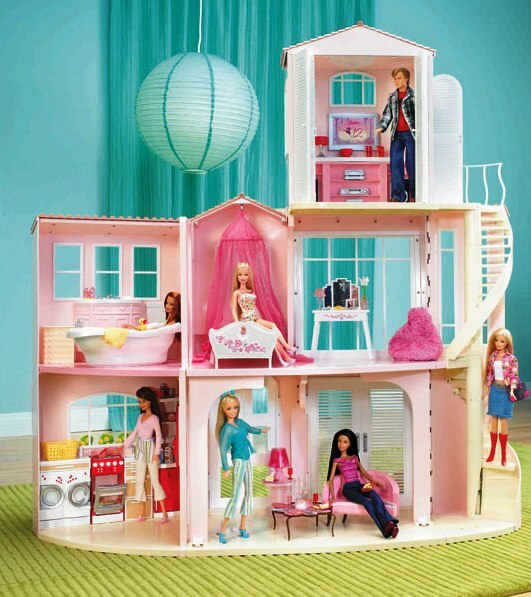 To buy furniture, and even a whole house of dolls today is not a problem. But sofas are made by hand, much nicer hard plastic, store-bought. In addition, children do love homemade toys as they are made with love. So, to make furniture for dolls can be almost any material. For example, you have any box from-under footwear. It can make a great wardrobe. For its production will need glue, scissors, some foil, a couple of matches, a small wand or a swizzle stick, adhesive film, preferably under a tree, but you can take plain paper and color it as your heart desires. To start, cut the box into two halves and cut short bends. Glue one of the halves of the cover foil (it will simulate a mirror). You can stick mirrors on both doors. Long folds of the doors of the wardrobe glue to outer sides at the sides of the second part of the box. Make a handle of matches. Glue film under the tree or paper the sides of the box, back and inside of the doors. A tube for a cocktail or a stick, measure across the width of the box and cut. This is a holder for hangers, hook it inside the Cabinet. The doll will be able to hang my clothes on hangers! But from small boxes of chocolates will make for a great TV and nightstand-stand under it. Importantly, to paste them with paper of a suitable color or paint. Ordinary plastic bottles can make a great number of useful things for a doll house. For example, from a two-liter bottle you will get the chair. It's enough to cut the neck diagonally. In the bottom then put a piece of cloth depicting the cover or sew the pad to form the bottom. From a small bottle into half a liter would make a good lamp. Bottle to cut the bottom and the neck with a cork. The bottom of the bottle becomes a lamp stand, and the neck – shade. Connect these parts with ordinary tubes for a cocktail. Decorate this lamp is possible with a piece of beautiful fabrics collected around the tube "lampshade". 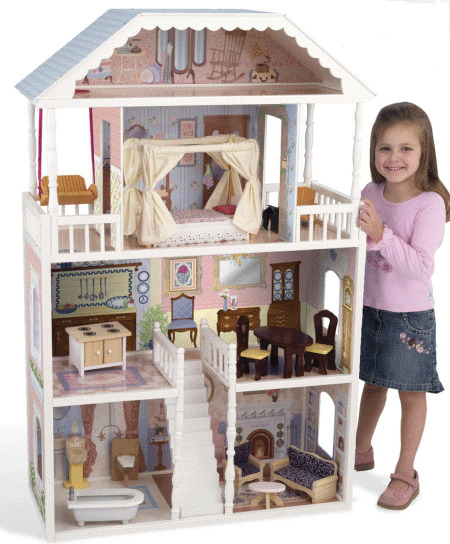 There are more complex ways of making doll furniture. For example, all the furniture, including sofas, chairs and even tables can be linked from threads of an ordinary hook. Or you can make a "wrought iron furniture from metal cans. But these ways require some skills, and spend they will have more time.